A shadow lingers in the sky of Vilna, Lithuania. Fernando the Vampire can’t find peace: Liù, his mandrake-girlfriend, cheated on him with his best friend Michele. Furious and miserable, he decides to go on a night flight. From time to time, he slips through a window to bite some tender female neck… but gently, with just one tooth, so it doesn’t hurt more than a mosquito bite. A gentleman like him would never wake up a damsel in the middle of the night! Yet, his honest work is often troubled by the intrusion of some weird characters: Aspirina, a forever-teenager vampire who falls madly in love with him; or Michele, who wants to be friends with him again; a werewolf who gives him flirting lessons; and the police of Vilna, which forces him to investigate on a serial killer… not to mention his tempestuous relationship with Liù. Fernando decides to leave, but troubles seem to follow him even on holiday: on a cruise, he ends up in the middle of a shooting between a British dandy and some Egyptian mummies, while a Japanese tourist in Paris (unintentionally) makes an attempt on his life by trying to take a picture of him… But what if all these misadventures were exactly what Fernando needs to liven up his eternal, immortal, monotonous existence? 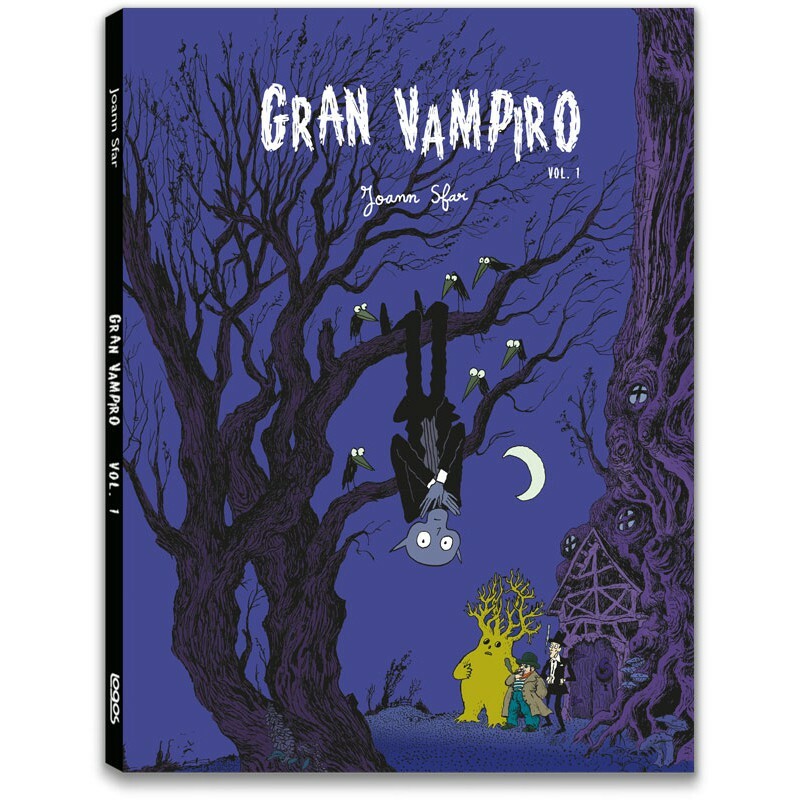 This first volume dedicated to Joann Sfar’s Gran Vampiro includes four episodes: Cupido se ne frega (Cupid doesn’t give a damn), Mortali per la testa (Mortals on his mind), Translatlantica in solitario (Lonely transatlantic journey), and Mentre Vilna dorme (While Vilna sleeps). 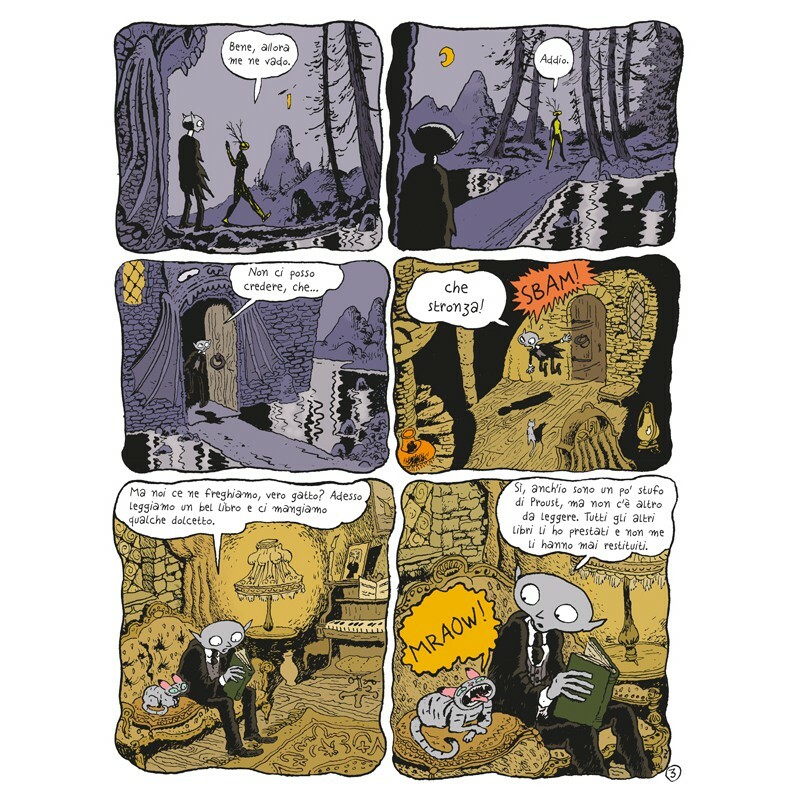 Sfar’s fans will recognise the heroes of Piccolo Vampiro (#logosedizioni, 2018), a little older and with a lot of grown-up problems, and meet new characters like the policemen Vincent Ehrenstein and Humpty Dumpty, Uomo-Albero (the Tree-Man), Elia the hermit of the woods with his Golem, Liana (“but everybody calls her Liù”), the beautiful vampire-sisters Aspirina and Josamicina, as well as many other ladies that will steal the heart of the most clumsy, melancholic, and ironic vampire in the history of comics. 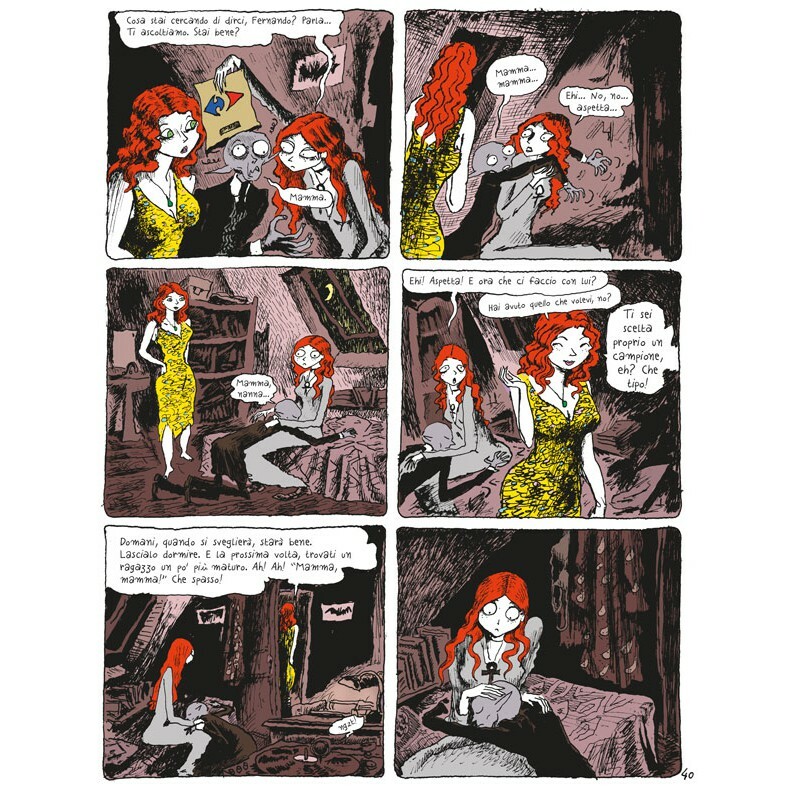 Born in Nizza in 1971, Joann Sfar is a prolific and talented author of comics, who skilfully deals with both drawing and script. 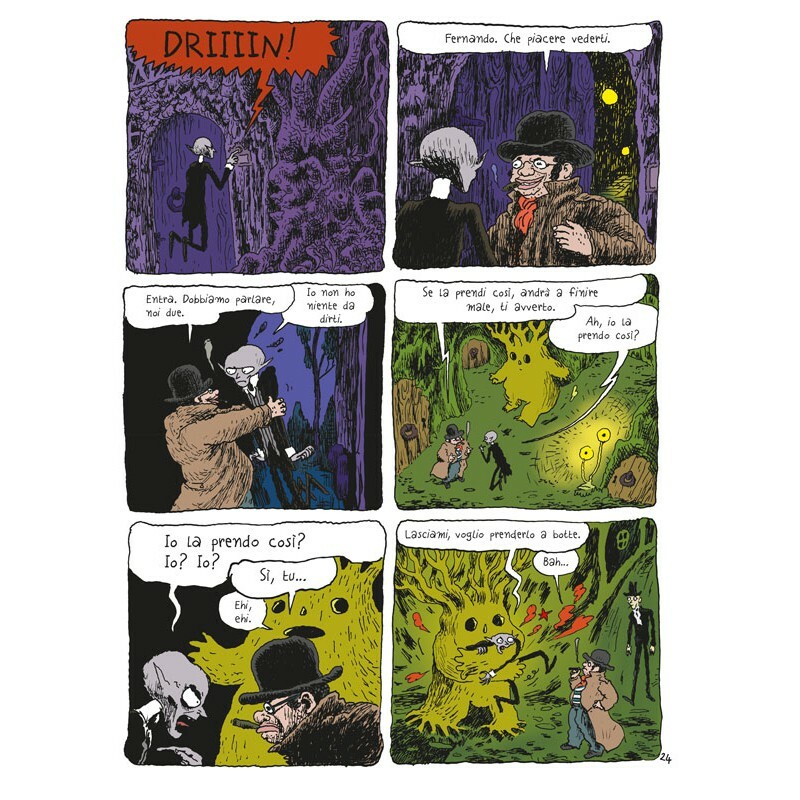 In 1994 he published his first comic book, Les Aventures d’Ossour Hyrsidoux, and since 2000 he has achieved growing appreciation from audience and critics alike, winning several prizes at Angoulême. 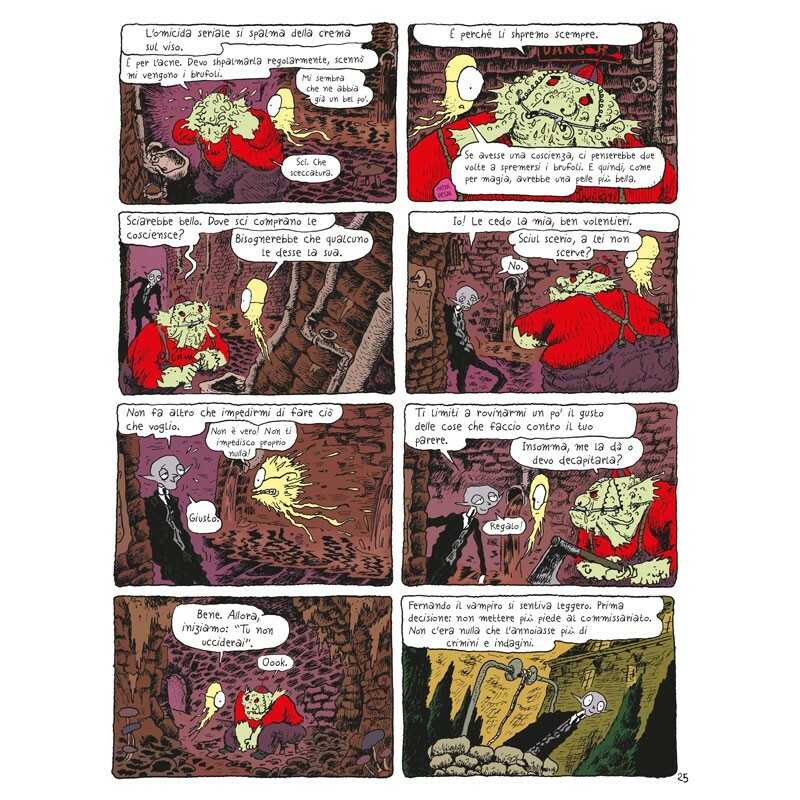 He collaborates with the press, illustrates philosophical classics and has written several comic books, many of which have been translated into Italian. 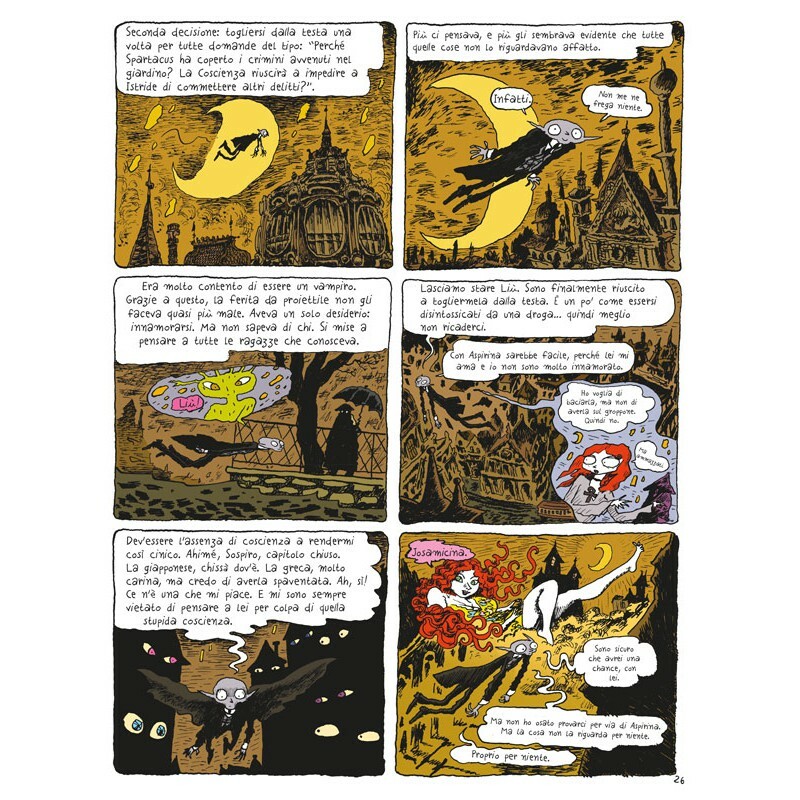 His titles published in English include Klezmer: Tales of the Wild East, Vampire Loves, the six volumes of Sardine in Outer Space, The Professor’s Daughter, The Rabbi’s Cat, Little Vampire, Dungeon and The Little Prince. 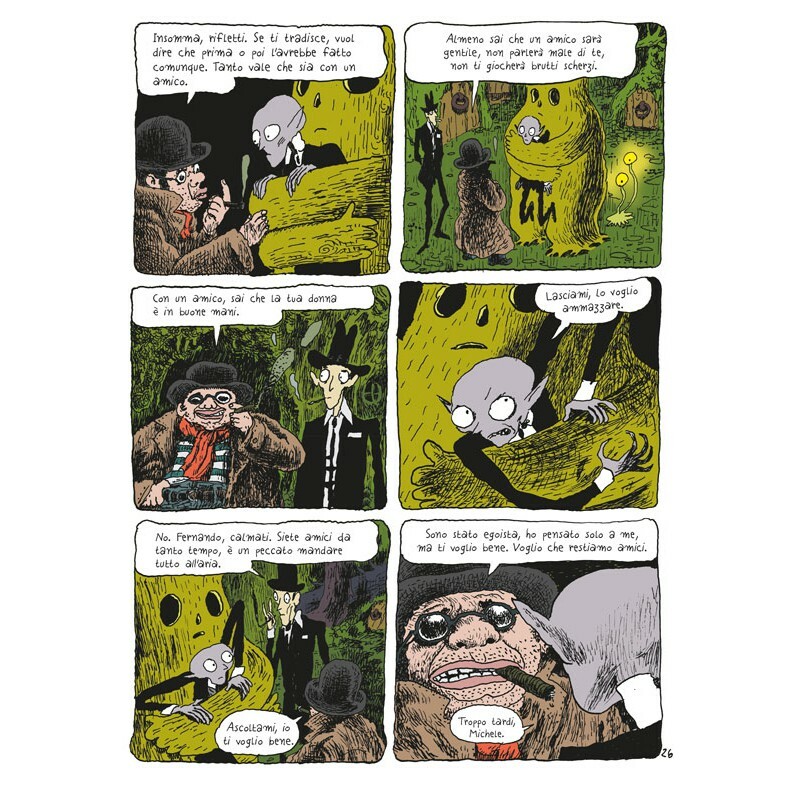 In 2004 he won the Grand Prix de la ville d’Angoulême special award for the thirtieth anniversary of the festival. In 2010 he directed the musical Gainsbourg (vie héroïque), adapted from his graphic novel, and in 2011 the animation movie Le Chat du Rabbin, an adaptation from his comic book series with the same title. 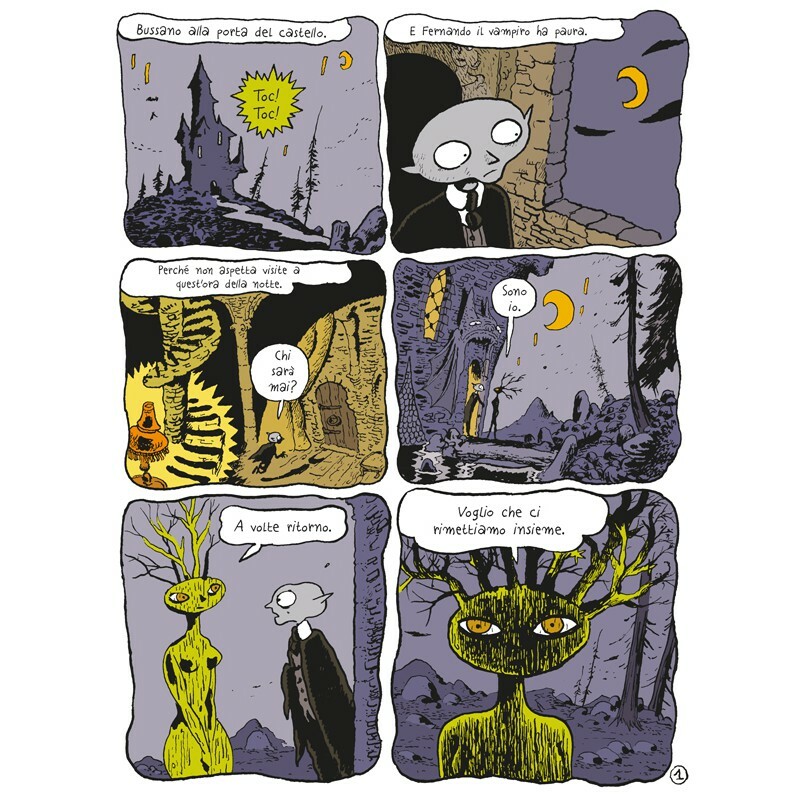 Books published with #logosedizioni: Piccolo Vampiro 1. 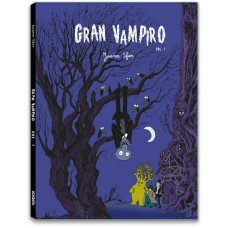 Coming soon: Piccolo Vampiro 2, Gran Vampiro 1.